English Christmas "pudding" is really a dense, moist spiced cake. This ginger version is flavored with orange marmalade and topped with a traditional hard sauce — butter and sugar mixed with brandy. 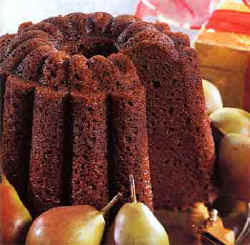 Coat inside and center tube of 6- to 10-cup pudding mold or Bundt cake pan with nonstick spray, then generously with butter. Sift flour and next 6 ingredients into medium bowl. Using electric mixer, beat sugar and butter in large bowl until well blended. Beat in eggs, 1 at a time, then marmalade, molasses and orange peel. Add flour mixture and beat just until blended. Transfer batter to prepared mold. Cover mold tightly with foil. Place steamer rack in large pot. 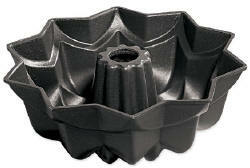 Place pudding mold on rack. Fill pot with enough water to come halfway up sides of mold. Bring water to boil. Reduce heat to medium. Cover pot and steam pudding until tester inserted near center comes out clean, adding more boiling water as needed to maintain level, about 2 hours. Using oven mitts as aid, remove mold from pot. Uncover and let stand 10 minutes. Cut around top center and sides of pudding to loosen. Turn pudding out onto rack and cool 20 minutes. Transfer pudding to platter. Cut pudding into wedges; serve with sauce. Can be made 1 day ahead. Cool completely. Return to mold; cover and chill. Resteam 45 minutes to heat through, then turn out of mold.